I must admit – I am one of those people who believe it was better in the past. What does “the past” mean? Sometimes, when I am very disappointed with what is happening today, I go as far back as the Middle Ages. Most of the time, however, when I am at my ordinary level of dissatisfaction with these strange times in which we live, “the past” is the period between the Belle Epoque and the ’50s. That is where I firmly stop. Obviously, I am a passéist. What is interesting, however, is that more and more people appreciate the things of the past, while companies also take this trend into consideration. If I were to judge by some of the beautiful models I saw at the Baselworld fair this year, I would have thought I was visiting the 1950 or 1957 edition, by no means the 2017 edition. 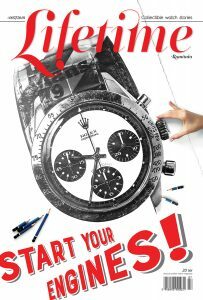 Which, in my opinion, is really great, considering that 60-70 years ago the design of watches (and not exclusively watches) saw an exceptional period. Let’s take Omega, for example. 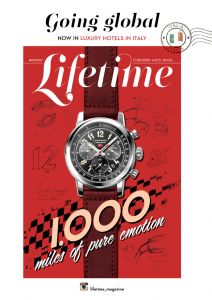 The brand launched a three-model pack, which they subtly called Omega 1957 Trilogy Limited-Edition. As the name shows, it is a reedit of three classic timepieces which proved really successful for the brand, namely: Seamaster 300, Railmaster and Speedmaster. The anniversary editions can be purchased either separately or together, in an excellent box which also includes a set of watchmaking tools. 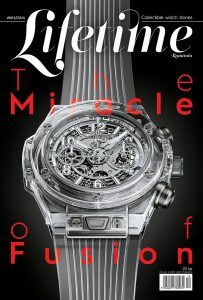 What I found interesting was that this year’s launch marked a first for Omega – the first time the brand used the digital scanning technology to obtain an as accurate reedit of the original models as possible. The new watches were recreated starting from these scans, as well as from the original drawings. The three watches are made of steel, the dials are black, the steel bracelets were slightly updated for better comfort, and the buckle features a retro-style Omega logo. Actually, the three watches have different logos, as a reference to how individual suppliers of the ’50s used to interpret the Omega logo. Each model is limited to 3,557 pieces. The new Seamaster preserves its original water resistance, the arrow-shaped hour indicator, and the special diving bezel – this time in aluminium; the model comes with a four-year warranty period and is equipped with the 8806 calibre. Railmaster, a double-case anti-magnetic watch, was designed for scientists, technicians and everybody working close to electrical fields. The new edition is as simple and beautiful as the original, and the movement can resist to magnetic fields of up to 15,000 Gauss. Speedmaster (a.k.a. Broad Arrow) was the first watch with a tachymeter scale on the bezel instead of the dial (as designed for race car drivers). The new model preserves the characteristics of the original one and features the 1861 calibre. Now I’m getting to one of my favourite watch brands – Seiko. And, of course, I was very determined to write about Grand Seiko, the watch I had in my heart and mind when I left Baselworld. The watch I have tried on at the presentation and then refused to take off my wrist until I became aware that I might have been suspected of dubious intentions, considering how admiringly and yearningly I looked at it. 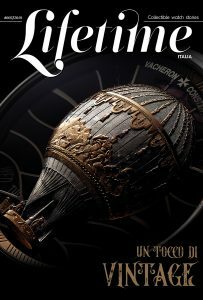 But I realized that I really wanted to write more about Grand Seiko, an article which I invite you to read in the next issue of Lifetime magazine. So I turned my attention to another Seiko vintage model, which the Japanese brand reedited this year – the famous, legendary 62Mas, a diving watch created by Seiko in 1965, to which many of the today’s models from other brands still owe a lot. 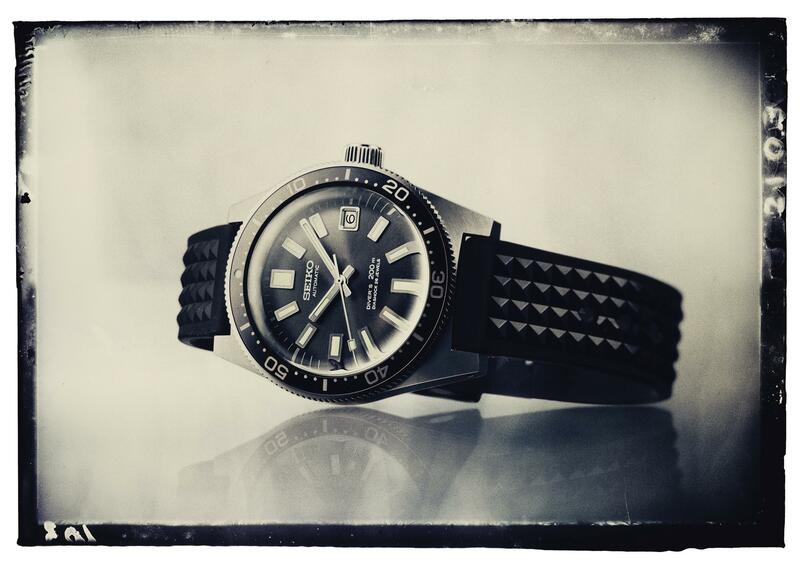 The Seiko 62Mas Reedition Ref. SLA017 was launched this year, a faithful and intelligently modernized version of the original. The official name of the original was Seiko 6217-800/1 and it was considered a benchmark on its own segment, for many reasons: the automatic calibre (6217A), the mono-bloc case with a generous diameter at the time (37mm) and the very readable grey dial, with large indicators and hands. The 1965 model was used by the Japanese for the expeditions in Antarctica, for 3 or 4 years. I like the new 62Mas for several reasons: they preserved the strong visual codes, the case has the same shape and the same finishing, and the diameter is 39.9mm – the perfect dimension for diving watches, in my opinion. 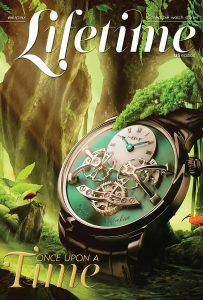 I really like the big, solid crown, as well as the dial with its 3D-embossed rectangular indexes, the luminous paint which ensures maximum readability, and the date aperture encircled by a metal ring. Of course, the Plexiglas was replaced by a vintage-looking sapphire crystal and the water resistance increased from 150m to 200m. 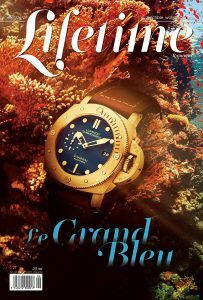 The 8L35 calibre was especially designed for diving watches. The new Autavia. 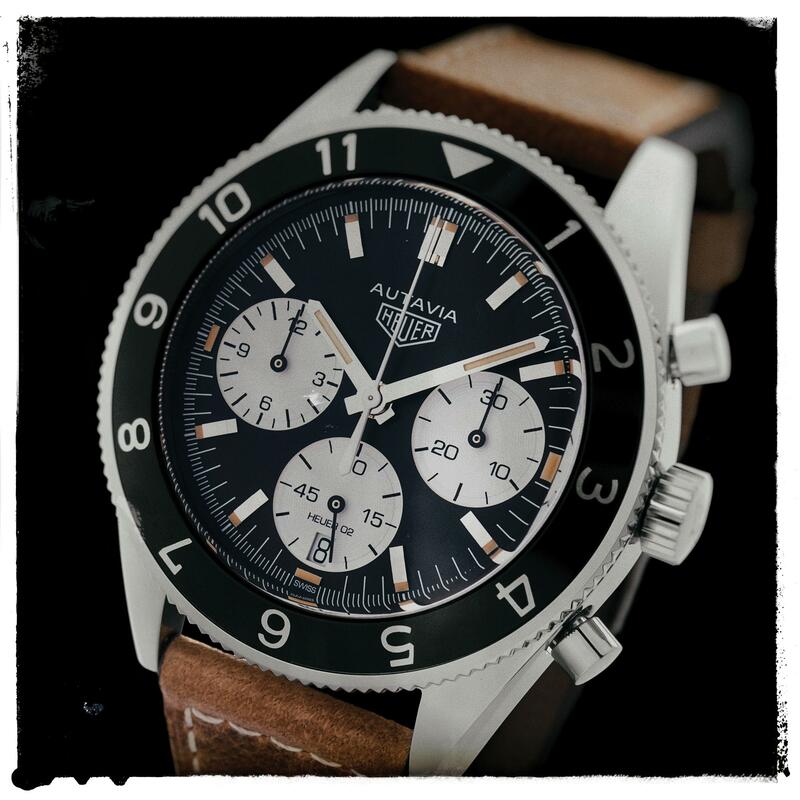 The already famous reedited Autavia, thanks to the marketing genius of Tag Heuer, who organized a big online contest, allowing the public to choose which of the 16 first-generation Autavia models (the famous TAG Heuer chronograph) will be reedited. And the fans chose Autavia Ref. 2446, the model featuring a Mark Three dial, created in 1966 and worn by Formula One champion Jochen Rindt. The new Autavia features a 42mm case (3mm larger than the original and too large in my opinion – it lost some of the excellent proportions of the 1966 model). As far as I’m concerned, the bezel is also disproportioned – it is too wide, too obvious. The black dial with the white counters is very nice – 30-minute counter at 3 o’clock, 12-hour counter at 9 o’clock and a running second counter with a date aperture at 6 o’clock. The Heuer and Autavia logos are placed under 12 o’clock – fortunately, they were kept intact. The calibre – Heuer 02, with 80-hour power reserve (awesome!) – is a perfect automatic calibre. This is my favourite TAG Heuer watch this year, from all the impressive collection of novelties. I like Hamilton very much because they make wonderful, durable and beautifully finished watches, at affordable prices. I also like them for their Hollywood connection, with the blockbusters and the crazy innovation in the world of films – about all this, in a future article that I’m preparing with great joy. This year I had the double pleasure of a very interesting informal discussion with Hamilton’s CEO at Baselworld, and a launch that made me very happy: Hamilton Intra-Matic 68. 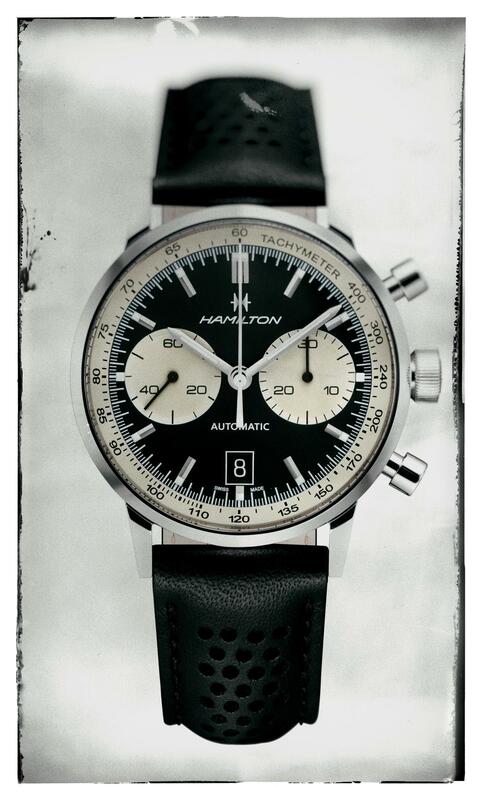 A chronograph (a complication strongly associated with Hamilton’s history) based on the Hamilton Chronograph B model from 1968, which was very appreciated for its “reverse panda” dial – that is, a deep black background for the white subdials. In 2017, Hamilton preserves the appearance of its chronograph models from the ’60s and ’70s, including the automatic calibre with the date display. The same solid, yet classic case, the narrow bezel (it is already obvious, I imagine, that I like narrow bezels – I find them more elegant, better suited to complement a vintage design), as well as the profile of the pushers and the crown. The dial itself is almost identical, except for the addition of a tachymeter scale. I like the fact that the dial and the hands are slightly curved and I love the perforated leather strap, beautifully made, a clear hint to car races. Like most Hamilton watches, this model looks much more expensive than it really is. The case is a bit too large for a reedit of a vintage watch – 42mm, as opposed to the original 36mm. This is, in fact, the only detail that could be regarded as a drawback. The movement is automatic, H-31 calibre, based on a Valjoux (7753), and it features a 50-hour power reserve. 1,968 pieces will be available. I conclude with Longines, one of my favourite brands when it comes to vintage models. Because the CEO of the brand, Mr Walter von Kanel, is one of the few people who really can reedit a vintage model, without compromising it by using inappropriate modern details, which don’t do any favours to the original model. 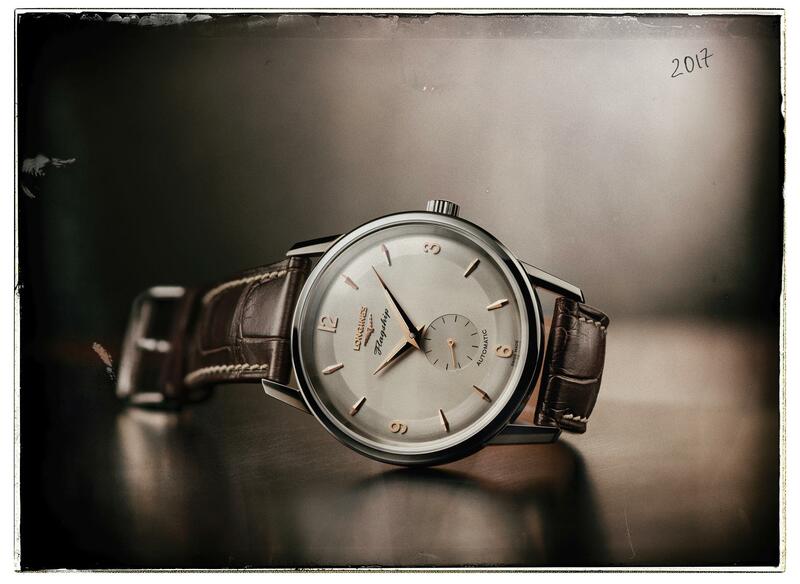 Longines Flagship Heritage 60th Anniversary is, of course, a reedit of an oldie but goldie from 1957, one of the really few genuine men’s watches, a model that looks as beautiful, elegant and ageless even today. It is an elegant watch, probably worn by many Don Draper’s in the 1960’s, a model which even I would most happily wear. 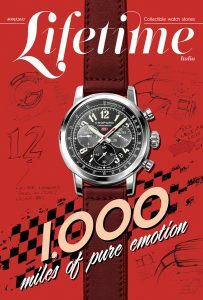 The silver dial, the very, very delicate bezel, the mechanic calibre (today, an ETA 2892 modified and transformed into the mechanic calibre L609, exclusively for Longines), as well as the extremely elegant brown leather strap – all these elements conspire together to make a watch that many of today’s gentlemen will wear with great pleasure. The watch is available in steel (1,957 pieces), yellow gold and rose gold (60 pieces of each version). I also really like the symbol engraved on the caseback –- a caravel, usually the best ship of the fleet commanded by the admiral. I find it a very suitable symbol of leadership in these troubled times for both business and humanity.